If you were to ask me what made me want to read What to Say Next, I'm not sure I could tell you. I liked Julie Buxbaum's Tell Me Three Things okay, but it wasn't a complete and utter hit. When I received an email asking if I'd participate in a bookstagram tour-esque post for What to Say Next, of course I said yes; I thought it sounded like a contemporary worth reading (and that's been my genre of preference lately), and Buxbaum's work was definitely worth a second try--especially after the ending in Tell Me Three Things. And what do you know--What to Say Next also had an aspect that was particularly stellar. Told in the dual points of view of David Drucker and Kit Lowell, What to Say Next is literally about what to say next. David and Kit are both stuck in their own worlds. The book opens up thirty days after Kit lost her dad in an accident, and though she tries to put up a front, she's struggling: the world's going on as if nothing happened, but her world stopped. Then there's David, who is essentially the school loner and the kid everyone thinks is weird. But as the story progresses (and I don't think this is really a spoiler since it's mentioned early on) we learn the truth about David: he's on the autism spectrum (and may have Asperger's; don't quote me). Kit doesn't know what to say because her life is changed; David doesn't know what to say because his brain doesn't quite work the way everyone else's does. But when Kit sits next to David and he brutally, honestly says all the right things...something starts to happen. What to Say Next was a rather unexpected read, for I wasn't expecting to get it from what I did: a character who's probably one of my favorite characters of all time--and I do not say that lightly. There's just something about David Drucker. Being in his head is just so fascinating. I haven't read very many books where I get to be in the head of someone with Asperger's, autism, or the like, but it really adds something to the story and the character. Because David is, essentially, different, he's not like all the other fictional characters I've met. He's a shield made with the strength of Thor's hammer, but he's also so, so fragile. He's precious, and you want to protect him from even the slightest bit of harm. Kit wasn't my favorite, but David? He felt real. And I don't think that's an easy thing to pull off. It's kind of hard to properly put What to Say Next into words, because it wasn't a complete hit. While David blew it out of the park, there were parts of the book that didn't quite work for me and that hindered a connection. (Like the whole mystery solving thing. I thought it would be bigger, but it wasn't.) (The romance that wasn't exactly a romance, and the romance when it was? YES.) In the end, my heart goes out to What to Say Next because of one very specific character. But also in the end, if it weren't for the character, I'm not quite sure what I'd say about this book. Did I love it? No, unfortunately. Would I reread it? I certainly wouldn't say no. Would I purchase it? I mean, I don't need it, but I wouldn't mind owning it eventually. Who would I recommend it to? 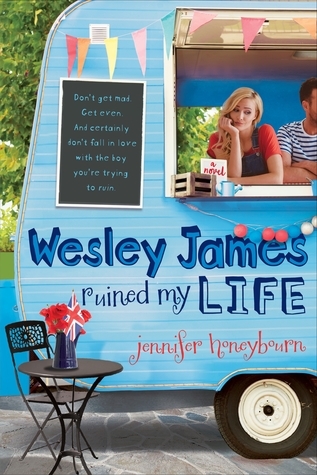 If you like your books filled with angst and bright spots, ups and downs, the turmoil of being a teen, and unique, refreshing characters, then this may be for you. This is the second review I've seen of this book this week! I'm still so intrigued about reading from the perspective of someone with ASD (Autism Spectrum Disorder). Thanks for your honest words, and I'm glad that you liked it even though you weren't able to fully connect. 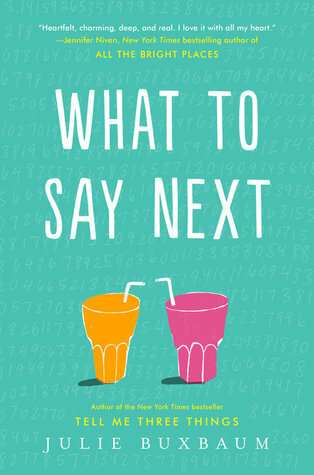 I think 'What to say Next' looks amazing book to me and have some great things too. I am looking forward to buying this one and have a great time. This is so good. The characters are perfectly flawed. They are amazing. The way the author switches between the 'voices' is just beautiful. I really feel like I got a look inside of each of the main characters. It's hard to know what to say without giving too much away, but it's a perfect fit for anyone who loves John Green or Jandy Nelson.